I want you to know that when you come in for an evaluation, your occupational therapist is going to recommend that you be seen probably two times a week for an hour—that’s generally what we recommend. It’s important that you consistently continue to do that, because if you cut your time back, you’re going to make your process longer. I also tell my families, “Remember, this is not a sprint, it’s a journey.” And as a parent, I want you to know that I am a parent who did this process twice, and my kids are still in occupational therapy and making progress. What we know is this: the brain continues to make progress as we work with it. So sometimes things end up taking a lot longer than we think, because each person is an individual, and we don’t all respond the same way. I will tell you that it’s not uncommon for clients to be in OT for a year, 18 months, two years, and depending on the severity of the disorder, much, much longer. 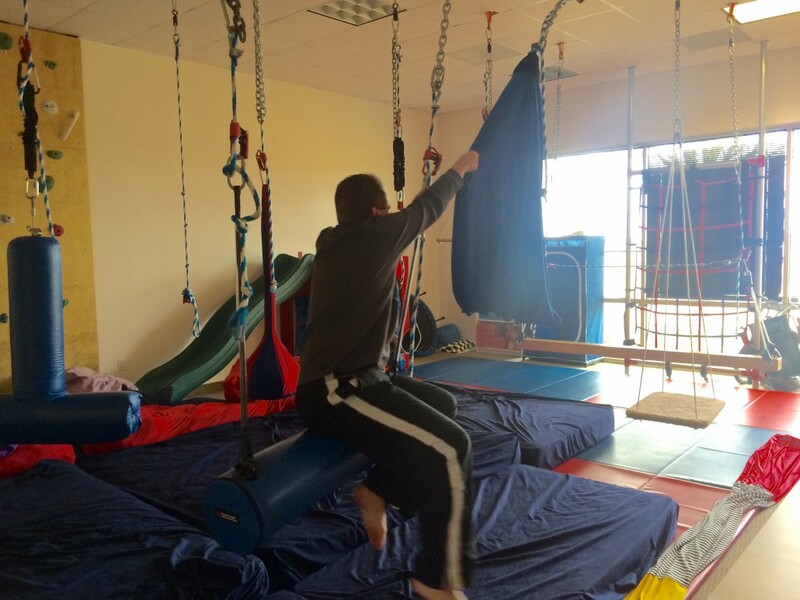 Many of our kiddos have been in therapy for five years, but they continue to make progress, and that’s the most important thing! Which brings up a good point—how do I know my child’s making progress? When we first start out, often the child gets worse, and the parents freak out and panic. “What does that mean? My child’s getting worse!” This happens because they’ve developed certain strategies, and we’re having to break those strategies down, come to a base level and build things back up. So for the first three months, don’t judge anything. At six months, you should get a progress report, and you should see progress on goals. And then in a year we are going to re-evaluate you, and you should see most of those goals being mastered. At a year we will establish new goals, and then at 18 months, we will give you another progress report. The moral of that story is, as long as you continue to see progress on the reports, and as long as you are looking at what’s going on at home, and seeing if some of those behaviors, some of those issues are changing, and if you talk to the teachers at school and hear that goals are being met—those are going to be indicators that the process is working. If you have further questions on your child’s progress, please give us a call to schedule an appointment.